This could be you... licking balls! This looks like the face of a man who is BOTHERED! This wallpaper, it bothers you! This tree, it bothers me! Those commercials for Parenthood (the new show on NBC) – Are they all parents? Isn’t that one guy from PUNK’D? Man, that dude from Six Feet Under got old! Can Ron Howard and Brian Grazer be more of an egomaniacal that they get top billing above the talent and they’re just the producers? !Who cares?! BOTHERED! Peeps – those marshmallow shaped Easter treats – Are they a marshmallow or a sugar coasted candy? When you open the package and against your better judgment, eat one, get a stomach ache and then go back 10 minutes later to eat the last one and it’s already stale and hard. BOTHERED! The end of the Olympics– You got used to being able to watch Estonia vs China in Curling at 3 in the morning. You became an expert on all the rules of two man luge, you tried out speed skating on the pond behind you house, you even know all the lyrics to Oh Canada now and just when you were getting measured for your own men’s figure skating outfit (plaid and sequins of course) they take it all away. BOTHERED! Pumpkins are just dumb, fat squashes! Frozen Yogurt – It’s not ice cream and it’s not yogurt. What is this icy dairy product? BOTHERED! So, I hope you hear my plea but if not, you’re also gonna be on the same show with HALL and eff-ing OATES!!! If you haven’t already you should start growing a mustache in honor of the these god’s of the 80s music scene. Also try to jump in on backup vocals to Private Eyes, if you can. Ya know, cause that wouldn’t make me bothered AT ALL! Also if you see UC in the audience give her a special wink and maybe mouth what room number at the No-tell Motel you’re staying in so she can come over and uh… “interview” you… yea. Don’t worry about me, I’ll just be here crying while i rearrange my living room listening to Justin Beiber* on repeat. PS If you haven’t seen all the episodes of Robert is Bothered, than seriously GO NOW!!!! So will you be watching Jimmy tonight to see Robert HOPEFULLY (fingers crossed, lighting candles, praying) Bothered?! Are we hella jealous of UC and all the other gals who get to see Rob at Jimmy tonight (YES!!! ), Jimmy fans what do you want to see Rob do the most on the show? DON’T FORGET TO BUY YOUR REMEMBER ME TICKETS at Fandango!!!!!!!!!! and yes I am very jealous of those girls who get to see him tonight. They better provide videos and pictures or I will be BOTHERED! This is going to be a great week; I’m very excited and anticipating some great word vomit. I can’t wait to see what you do on Jimmy Fallon- please, please, please be bothered. ‘Also try to jump in on backup vocals to Private Eyes, if you can. ‘- that would be beyond spectacular. PS- loved your giggly explanation of your allergy comment. Its over on robsessed- essentially he’s says it was a joke. “Apparently people are very sensitive about vaginas”. Hahaha. Hi draka, first of all I’m off to watch Goodmorning. Want to know all about this giggly explanation. Hoping for some blushing! Totally Rob this week. Yay! Dr oh were can i find the explanation on his allergy? i HAVE to hear that! PSS- I’m waiting for you to show up on the Today Show- please hurry up. It was Good Morning America. I hope you didn’t miss him! didn’t miss him- I think it was the Today show- but anyway, he looked and sounded fantastic. Robsessed said there might be spoilers in the interview, so with my purity ring vows I wasn’t sure I should watch–what do you think, will it give away anything important about the Remember Me plot? Or will I stay virtuous if I watch it? The spoiler can be taken two different ways, but if you don’t want any hints- stay away. Hopefully I’ll get some good pix at the red carpet tonight & I’ll share tmrw. I guess it’s not really something you think about when you choose a screen name. That’s so funny though! Have fun at the premiere!! I’m envious beyond belief. Hope it all goes well and we need reports pronto! If a city could talk I could tell you London is ‘bothered’ and pining and doesn’t want to share!! I don’t care if this is the first sunny day since FOREVER. GGGP- sharing is caring! Don’t worry, we only got him for a short time. Haha too true and at least he’ll be out and about in NYC. Which reminds me I’m also unexpectedly bothered by the Olympics ending too. I hope that you get to see him, please report back! And that’s funny about introducing yourself by your screen name! Been there! Telling peeps in RL I’m superhumanmoron isn’t what I had in mind…. Back when I was young and cute, I used the name “girltiffany” for everything. At some point–I’m guessing it was around 30–I couldn’t pull of the “girl” end of things and had to change it up. I still have “girltiffany” as a login for some stuff and am BOTHERED every time I have to tell people. This is why I want to change my name to either PussyCat or Danger. Milfy Goodness, you mean they wouldn’t recognize you from your WonderWoman outfit? You look just like that, right? Haha you’re so funny Milfy!!!! Can you imagine if you met Rob and you said “Hi my name is Milfy!” Can you imagine his expression? I’m sure he’ll get it. I hope this appearance lives up to my expectations! I’m gonna be really bothered if he doesn’t do a Bothered skit. Please ask Jimmy is he’s BOTHERED by Jersey Shore..wouldn’t that be a better idea then making fun of you while sitting in a tree? You could tell suggest that he could gel up his hair, get a spray tan, sit in some Deli, order a panini and get BOTHERED about why “bologna” is spelled like this instead of “balonie”. yes I’ve seen it before but I’m still waiting for UC and MOON to make a “Leave Robert Pattinson ALone” video…like the one Chris Crocker (Leave Britnet Spears Alone) did on youtube..I can’t post the link at work (youtube is blocked)…. I so thought about doing one (well not really…) but I also waited for UC and Moon to make one cause that would be hilarious! Just saw him signing autographs outside the Today show- he looks fantastic and has major sideburns going on. Ok NY, can you please give him back now, London just isn’t the same without him. I will definitely watch tonight. I miss him on GMA this morning so I could make it to work on time… FANFAIL! That’s how the Stoli shirt got all the holes in it in the first place. I have a pug with a fetish for licking fabric, and he’s licked a hole in his bed and in my sofa. Hey, you changed your name back, beakerjorts. What? I never noticed that. All fixed I think…. Congrats to UC for being in the audience. Major Squees. I swear to Jesus he better grow some humor and do Bothered. He’s been talking about bra cups and ball sacks lately so maybe that’s a good sign. 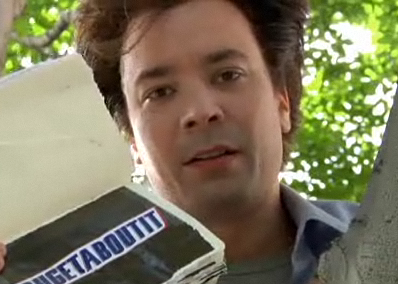 Plus if he’s funny on Jimmy, maybe he can so SNL? He looked quite delicious on Today but also a bit sleepy but made up for it when he mentioned himself being naked. Oh, still so much to watch! What am I doing here??? 😉 Rob all over the place! The Today show clip is already up on Robsessed- excellent work! Wow, he looked great!He also said something about the Details shoot and that no one wanted to see a nekkid shoot of him- well, we all disagree extremely strongly, Rob (esp RG). Loved how one of his shirt collars was sticking out and didn’t his shoulders look really broad? Just saw it. He looks real good, very well rested. And very relaxed with the interview, he has grown up, hasn’t he? So proud of him. Read some reviews of RM which were really praising him as well. Aw, Rob. I’m just swooning now, can’t help it. What’s not to like? And yeah, we strongly disagree about the naked shoot Rob. Hahaha..! LOL yes me too Cath….about the spoon and lots of ice cream. Or I’ll settle for whipped cream on him…that’s fine too. Yes chocolate too, I posted something like that a month ago here. 🙂 We are bad!!! Now what else are we gonna think of? Of course if you have ice cream, you gotta have chocolate syrup to top it off! YOU!…..laying NEKKID in the bathtub, showing US some DETAILS! didn’t you think his shoulders looked broader than before? Or was it just the jacket? I think sometimes it depends on what he’s wearing. However in NM it seems his shoulder is broader anyway, he had to work out so he buffed out. He’s adorable and desirable no matter what right? Rob, stop being SO cute. Stop it! ‘Rob, stop being SO cute. Stop it!’ I know, right? I’ve decided that I’m hot and BOTHERED by Rob! Ahhhhh….this is too much Cath!!!! Rob you’re really killing us here. It hurts to even look at him, but I can’t stop looking. Hi SB! I know right? It really is too much. He made my day though! How are you btw? Will write you soon! I’m good Cath, how ru? I will wait for your email. I love Jimmy Fallon. LOVE. Tonight’s going to be a giggle-athon like no other. I missed all the morning interviews because of work….thank Jesus for DVR!!!!! I have plenty of things to watch when I get home. 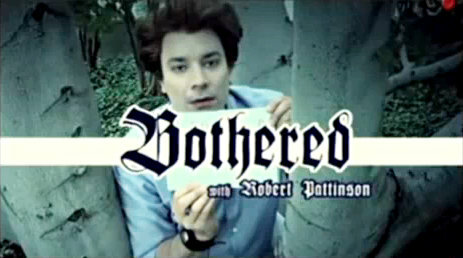 Let Rob do a Bothered skit with Jimmy. Please?! I can not wait for Jimmy Fallon tonight! Love him and with Rob on the show Double WIN! Can’t wait to see what Jimmy has Rob do. There had better be a “bothered” episode! On Today, Rob did look good and at ease. I’m so glad that he appreciates his role in Twilight. The press junket pictures – he looks goooood! His hair looks hot. Love his hair. Hair almost looks like it did on his Twilight press tour circa 2008. I beg you to sing with The Roots or you could read some poetry while they back you up. I think they are the coolest last night show band in the history of late night tv. If not, please bother me. Lion, I love The Roots, so that combi sounds like an excellent idea. You and me are gonna be talking while he’s on!!!! No drooling on the laptop please! I hope they make him lick the bothered tree. The original one, of course. Can’t wait for all this lovely footage to show up on the interwebs tomorrow! I absolutely LOVE this! I am def gonna send you something for your project & how cool would it be for you to be the one to hand it over! Great idea! Be prepared for LOTS of email & stuff!! Brilliant, absolutely briliant!! who cares what his mum & dad think?!?! LOL JUST KIDDING Actually I think they appreciate his fans!! I know I would. Heck, I’d be PROUD if it were my kid!!! … If noboy coworks that is. Anyway I am excited for this and for me to see London.. Woooo! Remember when Jimmy hosted MTV awards and sang Nelly’s “It’s getting hot in here.”??? Want to see a duet of this with Rob (remember Rob saying Twilight fans are “hawt-hawties”) OKAY can you picture it? 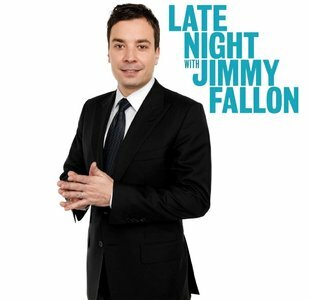 Here is Jimmy singing @ 4:10 and talking to Nelly @ 4:30–very funny Insert Rob and OMG! I could die happy! Have fun UC! When did he say that ?!? The daily show gets Shown in the uk a day later, so Wednesday 3rd on more4 at 8.30pm, sky at the ready!! This is one exciting week! Lots of Rob appearances!!!! What am I doing here, I should be in New York!!!! I saw all the recent interviews, including the one from this morning! Squee! So cute, I feel like I’m in a high now. Haha, thanks Rob for making my morning so special, I was looking forward to seeing your face again and to hear you talk. 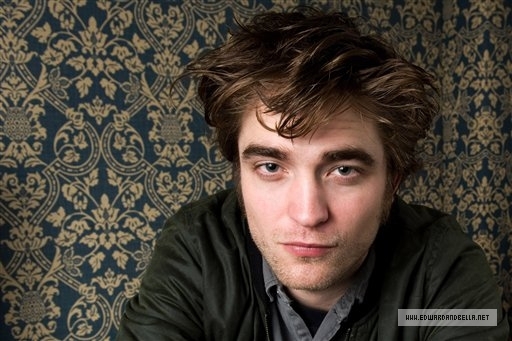 Oh hey there sis-in-Rob, I finally saw your new avatar! Love it! Yes so far Rob has not dissapointed me. After a year of me crushing on him, we’re still going strong! Haha! Hey yeah!!!! And he’s prolly wearing those socks he bought some weeks ago. My love will never fade! And I’m so normal!!!! I just wonder how long am I gonna be in this state of love or infatuation. Not that I’m complaining or anything. So glad I have y’all to commiserate with. LOL! I guess we just have to wait and see. I really do hope they make a Bothered skit, any will do. Girlies I have some picture goodies for ya! nished watching The Today Show! Rob you were fantastic! You never disappoint! You were your gorgeous, rumpled, giggly self!! I completely disagree that no one wants to see you naked! I know LOTS of people who wouldn’t mind seeing a photo shoot of you naked!! (for that matter, I know lots of people…myself included…who’d like to see you naked in person!!). I think one of my favourite parts was when you said you can’t seem to say Remember Me right! That was great!! We love you so much!! Keep being awsome!! Melinda & the LTR ladies!! 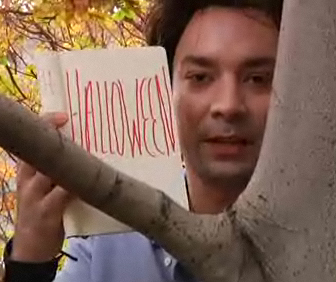 I am wayy too excited for tonight’s Jimmy Falon. He BETTER do/participate in Bothered!!! I’ll be bothered if he doesn’t! Gosh Moon, here I was thinking, “I couldn’t love these LTT/LTR gals anymore than I do,” and you go and come up with this!! Your idea for the two of them doing the bit together is pure GENIUS!! So my vote is for that. Having Taylor race him on those mini bikes was genius, but let’s face it – Rob could never manage that. For a multitude of reasons. So let’s pray for Bothered! Or at least a show-and-tell of his modesty patch made from half a bra! Win-win! Hey, Abs, haven’t seen you around. If it’s already the best week ever and it’s only Monday, just wait until the rest of the interviews and appearances come out! The male family units enjoyed the hockey game from all reports, but I girled out yesterday and saw “An Education” instead. Great movie! I hope Rob and Carey Mulligan get to work together some day. Did you see beakerj changed her name to eatmyjorts? Just sayin’ the beaker name is now up for grabs, you know, if you want to match your avatar. Absolutelybeaker? Beakervic? T.O.O., when I saw “An Education” I thought the same about Carey and Rob…we’ll see. Have a great week and fun tonight watching Jimmy & Rob. Hey, there lion. Unfortunately I’m incapable of staying up late to watch late night shows, even when Rob is involved, a) because I’m old and I get grumpy if I don’t get my 8 hours, and b) because I would be outing myself. So it’s Robsessed in the morning, although I would love to see the whole show. No DVR technology chez moi. PS, I’ve been around, just haven’t been commenting. It’s like the comments reach the hundreds before I’ve even finished eating my cereal in the morning!!! I can’t keep up. I feel so old. Aw Abs, don’t feel old! Just think of Rob in that Bothered tree! Don’t be shy! I’m old and have all kinds of irrelevant and boring things to say, but it doesn’t stop me! I’m just amusing myself! (I don’t mean to imply YOU would ever say anything irrelevant or boring). It’s all cool. Tee hee! I tried to say be some form of Beaker…he deserves to be named. Just not ‘beautiful Beaker’ as that’s what hubs calls me & it would be WEIRD. I’m not sure everyone else has worked it out either. I had a twidentity crisis. Oh & there’s that comment. I’m so lame. you’re lame, and I’m old, and we’re all just one big happy family. Ladies!!! Our dreams came true. Look at the pic!!! P.S. Rob, you’re totally lurking, aren’t you, you liked the idea of sitting in the Bothered tree, haha. Oh Cath, that’s great!!!!! He looks like he’s barely holding on! This is going to be great! he certainly appears to have a rather tenuous hold on that bloody tree, I suspect he may be visiting the hospital shortly. Rob in a cast, interesting….. I have now managed to watch some of the recent interviews, I note with interest that all interviewers have been told not to ask anything personal re. Kstew. It’s all looking very much like they are together…..bloody hell! I have found the ideal antidote for my Kstew blues, IZ version of ‘somewhere over the rainbow’ …..this is the best version EVER…this man had the most amazing voice…I’ve now got it playing on loop and I have never been happier……. Yay!!!! He is so adorable!!!! Look at that smile! I can’t wait. Rob’s such a great sport! And please don’t fall out of the tree Rob! It looks like he is almost falling, but he’s laughing too! How cute is this day!!!?? Are you gonna be able to see it tonight? I can’t wait, my husband’s home tonight(night off) and I guess I’ll be spending my night anticipating and watching Rob instead. Haha, I already warned him! I’ll be right there with you, SB. Thanks for the cutest photo, ever!!! He could lick TomStu’s beard covered in catsup for 10.00 hows that? Jimmy has a major crush on Rob, too. That was much too short! He looked simultaneously hot and awkward in the tree and cute! Lasers out of his eyes- the true impregnating stare! The Georges Duroy sideburns- wow! He watched hte first half of the first episode of ‘Lost’ and it as too much for him! Best slightly dirty quote, speaking about Emilie’s character- she gets deep with her (I think Fallon said this). The squeeze/please thing was cute. The Twi (t) Strips is not a good name for a band. I loved him in the tree, especially his expressions. Loved how adoringly he looked at the audience. TwiStripes (Strips) = major fail, but maybe it would work for a kstew only band. Tell me the Emilie dirty quote…I may have zoned out there for a sec.